Preheat oven to 325°F. Line a large heavy rimmed baking sheet or jelly roll pan with non-stick foil or parchment. 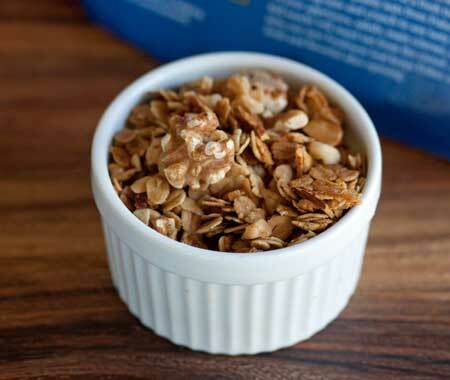 In large mixing bowl combine oats, walnuts, coconut, almonds, pumpkin seeds (if using), and sunflower seeds (if using). Slowly pour maple syrup mixture over at mixtures; toss to coat.